How much do you spend for a bottle of wine? 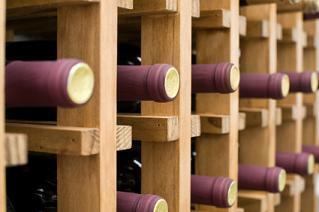 Find out about all things wine here in Wine Articles. Need a wine for your next cook out? Read the barbeque wines article for a few helpful suggestions. Want to learn more about wine but don't have time to drive to and from classes and tastings? How about taking a few wine classes online? Wine and cheese combinations - Find out what wine pairs best with Gruyere, cheddar, Boursin and more. How to become a Sommelier - Looking to make wine your profession? Learn how. Ever wanted to make your own wine? - It isn't as difficult as it sounds. Don't forget the wine making supplies. Discover how to make a delicious batch of white wine Sangria for those warm summer nights? Get some ideas for giving a great toast. Wine 101 - What better place to start then a quick 101 level lesson? Learn the positive health benefits of having a glass of red wine here and there. Decipher what those seemingly arbitrary wine ratings mean.